Are you planning a vacation or business trip to a foreign country? You may not know much about the language there, so you’re going to need to communicate. Let’s face it. In America, very few of us speak a second language. We’re a global society and yet, we still lack the skills to communicate in a language other than English. That’s an unfortunate fact. You can take a crash course before your journey. That will help, but you won’t fully grasp the language. A translation app can be an indispensable tool when you’re traveling for business or pleasure. 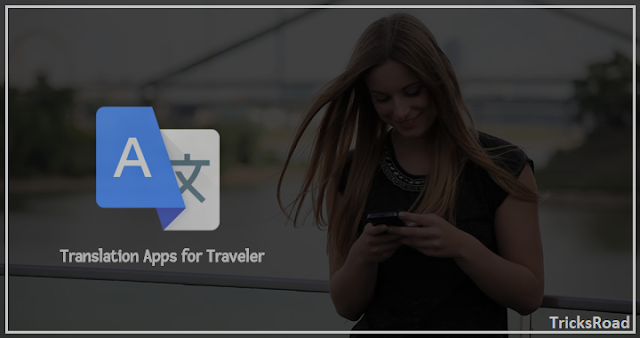 Let's start and see some of the best translation apps for travelers which will help you enjoy the journey. Read on to learn the best translation apps before you take your next adventure. 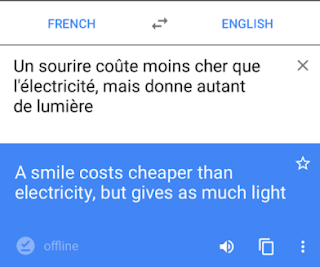 Google Translate has become the go-to in language translation. You can translate into 90 languages, which makes it a great tool to have no matter where you’re going. There aren’t that many language tools that can translate into Catalan, but Google Translate is one of them. It’s convenient to use, too. You can enter words by typing or taking an image or speaking. It’s very helpful when you’re trying to translate a menu. 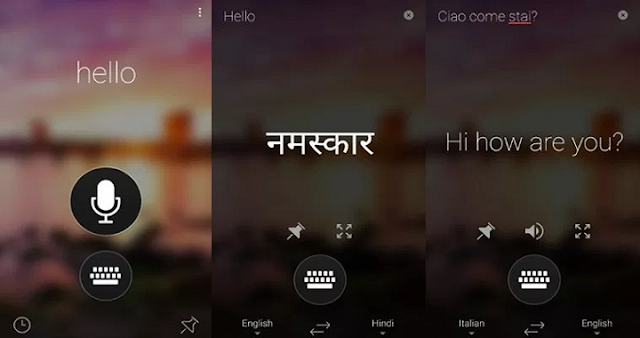 Google Translate is free and it’s available for both iOS and Android devices. Microsoft Translator works pretty much the same as Google’s translation app. It’s only available in 60 languages, which will still be very handy, even though it’s less than Google. Where this app really earns its place as one of the best translation apps is its conversation mode. Let’s say you’re in a conversation with someone who only speaks Spanish. Instead of trying to talk loud and slowly in English to get them to understand you, break out this app. It will translate what you’re saying and what the other person is saying in real time. Communication can happen! 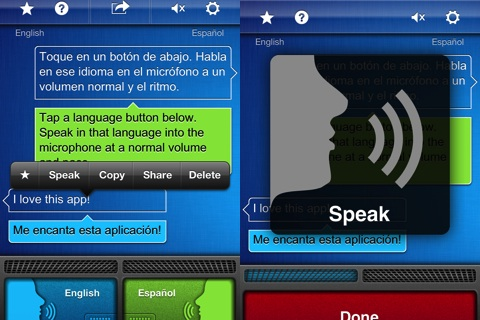 You can get Microsoft Translator for free for iOS and Android devices. Instant Translator can help you understand the pronunciation of the words as you’re typing them in. What’s great about this app is that it will also give you the various dialects of the words, too. That’s a rare find for any translation app. It also has the basic translation functions that you’ll find in Google or Microsoft’s translation apps. Instant Translator is $5 a month for the ad-free version. You can use the free version, but it is ad-supported. 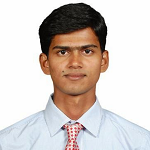 This app is for iOS and Android devices. SayHi is a conversation app. It works in a similar way that Microsoft’s translate app does. It translates conversations in two different languages in real time. The translations are delivered in both text and speech, so the person can read what you’re trying to say. Where SayHi does a great job is in its interface. The user experience is simplified, so you can pull out the app and not have to deal with cumbersome interfaces to get to conversation mode. This is free for Android and iOS devices. Waygo is a very simple app, but it can be a lifesaver if you’re traveling to China, Japan, or South Korea. This app does one thing and it does it very well. It translates signs and menus into English. It does this through its image recognition technology. It doesn’t require an internet connection, which means you don’t have to rely on a potentially slow data connection to know what you want to order. Waygo is a free app for Android and iOS devices. Technology has been a lifesaver for the tourism industry. Between the best translation apps and flight and travel apps, traveling to a new country has never been easier. Regardless of where you’re going, you’re going to need to brush up on the best ways to translate quickly while you’re on the road. Translation apps are wonderful tools to have when you’re traveling. The danger to translation apps is that you become overly reliant on them. 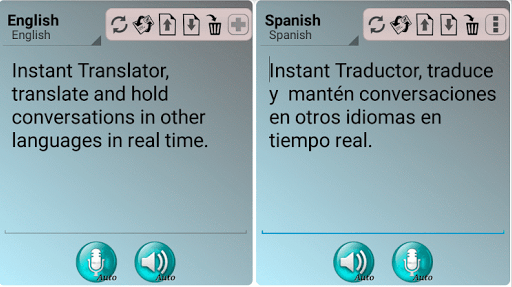 Translation apps help with some basics to language learning. They don’t pick up cultural differences or local dialects. That’s what leads to a lot of translation fails. Reverse translation is a fun game to play when you’re translating a foreign language. With reverse translation, you take a translation that’s given and do a back translation. This will reinforce the meaning of the words in your mind. Reverse translation helps you in two ways. You get to see and understand the grammatical structures of sentences and how they differ from English. You’ll also start to memorize certain words and phrases. That will help learn the language a little more quickly and you’ll find that you aren’t using the translation app for the same few words. Eventually, you want to get to the point where language apps are a handy tool to have in a pinch. You’ll need to study the language, instead of relying on a translation app 100 percent of the time. You want to practice using your translation app because you’re most likely to need in in a situation where speed matters. You also want to practice pronouncing the words that you’re looking up. That will help you learn the language faster and more efficiently. Think about common words and phrases that you’ll need to use. Look them up repeatedly so you can understand the words and start to memorize them. The best translation apps have a few characteristics in common. They’re fast and they’re accurate. Yet, when you’re traveling in another country, there will be nuances to the language that your translation app just won’t get. That’s why you want to make sure you learn as much as you can about the language, practice speaking and listening before your trip. You’ll be less stressed about trying to order coffee and you’ll be able to enjoy your trip more. Then you can pull out your translation app in some, but not all situations. Want more outstanding travel tips? Check out these timeshare travel blogs.